I have been on a reading roll over the last few weeks as it was one of my new years resolutions this year to read more and if the past couple of weeks are anything to go by I am well and truly on my way. I saw his book in a Youtube video I watched ages ago and decided to give it a go and boy was it a good choice. 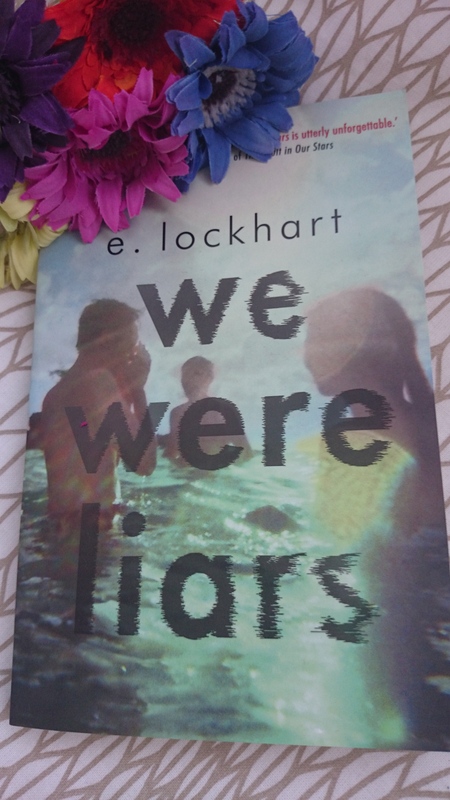 ‘We are Liars’ by E.Lockhart is one of the most interesting books I have read. It is written in a style that I didn’t think I would like as the sentence structure is a bit different and I found the story a little strange at the start but I really loved it. This book follows the story of Cadence, Johnny and Mirren who are cousins and Gat who is Johnny’s step brother(although not by marriage) and joins them the summer they were eight . They are the Liars and they have spent every summer together on their family’s island Beechwood. Cadence is the narrator of the story and we get an insight into her thoughts throughout the book. During summer fifteen Cadence has an accident and loses her memory of the events of that summer due to a brain injury. All she can remember is going swimming in the sea and walking up curled in a ball on the sandy beach. Throughout the rest of the book we travel on a journey with Cadence as she tries to put together the pieces of that summer and figure out what happened to her and in the end finds herself coming to a shocking revelation. This story is truly amazing and we get to see how Cadence and her family struggle with the aftermath of her accident. We follow the relationships that Cadence has and see the how the relationships of the Sinclair Family change with the events. The Sinclairs are a very wealthy family and are expected to act in a certain way as Cadence’s mother keeps telling her ‘ Act Normal ‘ and we see how this behaviour affects them. With this idea the book raises certain interesting themes in my view in relation to social standing. The story is truly amazing as is the writing and I would definitely recommend it to anyone to read. It may be a little slow to get going but stay with it as believe me you will finish it with tears in your eyes and your mouth wide open which is exactly how I did. Let me know what you thought if you have read it. Why I love Being Irish…..